JSG developed a master plan for the Standing Rock Sioux Youth Services Center (YSC), a new juvenile detention and placement facility to provide appropriate programming and support services to SRS youth and their families in a safe, secure, and humane setting. 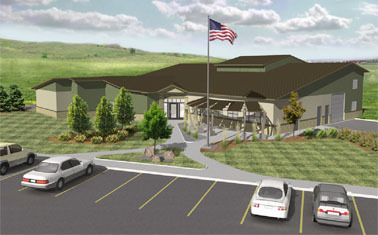 The facility will serve as both a pre-adjudication detention and dispositional placement facility for tribal youth. JSG worked with interested stakeholders to reach consensus on a clear statement of values, and a vision and mission statement that reflect the overarching philosophy and policy direction of the new Youth Services Center. The SRS YSC will provide prevention, detention, intervention and rehabilitation functions for tribal youth. The YSC functions as a part of a new comprehensive justice system designed to address crime mostly related to alcohol and substance abuse.